With the assistance of our new age technology we have at our fingertips ways to access and record our blood pressure and heart rate measurement. I have recently discovered this new age technology that allows you to monitor your blood pressure using your iPhone, iPad or your iPod Touch. There is now no reason for you not to have an insight into the need to take control of your blood pressure by simply plugging into your IOS device and launch your measurement. I highly recommend the using of Withings Blood Pressure Monitor. It offer a variety of functions and features not available with traditional monitors. Read more here about this amazing monitor that is even compatible with your iPhone 5 using the Apple Lightning to 30-pin Adapter. Knowing how stressed we all are, to maintain our health and sanity doing daily mediation can be a lifesaver. Mediation is about silencing your mind, so that you can hear yourself, be creative and calm your soul. The busier your live is, the more need you have of this peaceful pause to renew your spirit. The practice of silencing your mind helps to lower your high blood pressure and anxiety disorders. Sit in a quiet comfortable place - it can be your car, your bedroom, bathroom and you do not have to sit on the floor. Some of us cannot get down there. Just find somewhere where you will not be disturbed and you can be silent. Be still with your eyes closed. Empty your mind. If your thoughts start to wander just gently pull your mind back to the present. Don't get anxious whenever your mind wanders. Silencing your mind will get better over time. 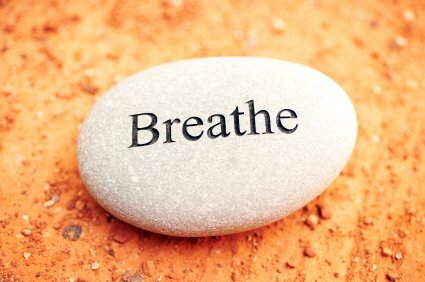 Breathe deeply and focus on your breath. Inhale through your nose and exhale slowly through your mouth. Focus of each and very breath you take. Feel your muscles relaxing. Let go of your emotions and watch as the tension leaves your body. At the end of your mediation give thanks. There is much to be thankful for. This is a great way to prepare yourself for sleep. The older you are the more you need to take care of your body to live a quality lifestyle. 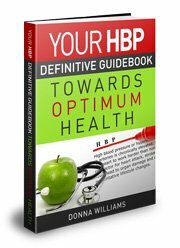 My HBP Guidebook was written for that purpose, so purchase your copy today. Thanks to those of you who have already purchased your copy, I hope you are using it to the fullest. Wishing you a good health. Summer will be here before you know it and I am planning to fire up the grill. I am already smelling that aromatic grill smoke. Grilling your meat is pretty health, is tasty and you can add green salads and a pitcher of lemonade to the mix. Into a dish combine all the seasoning and rub all over ribs. Cover and refrigerate overnight. 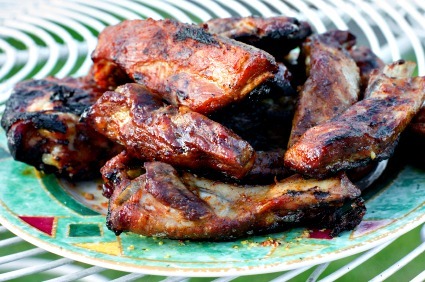 Place on grill and cook for thirty minutes, then flip and cook for another twenty minutes. Check to see if cooked, then brush on your favorite BBQ sauce and continue grilling again for another twenty minutes.